This special exhibition is part of the 2018-2020 Vancouver Biennale exhibition themed re-IMAGE-n. It works in parallel with Paradise Has Many Gates by Saudi Arabian artist Ajlan Gharem, a chain-link structure that takes the form of a spiritual space and challenges cultural barriers and our perception of communal spaces. 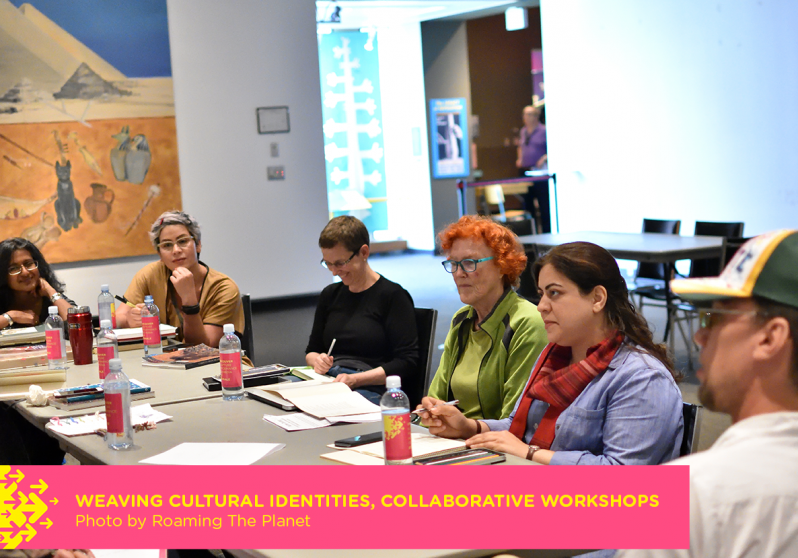 The initiative Weaving Cultural Identities encourages dialogue around acknowledging and celebrating local Indigenous and migrant histories, while bringing together diverse communities. 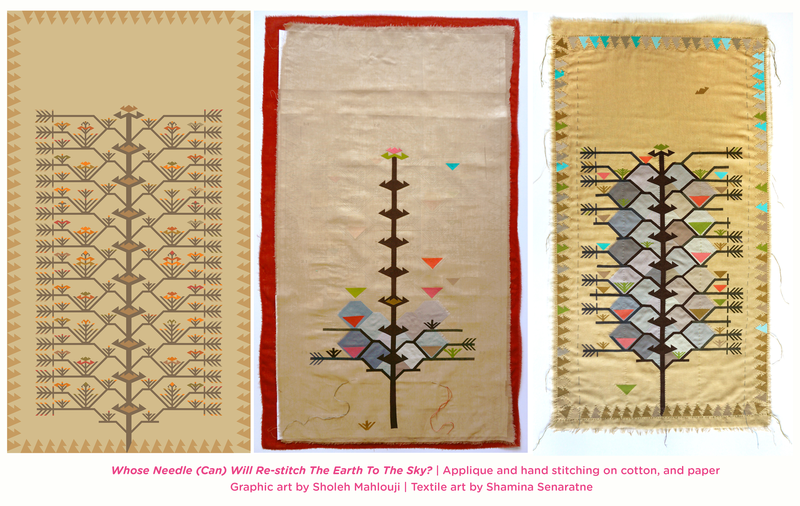 This project pairs ten textile artists of different disciplines and backgrounds with graphic designers of various cultural descents. 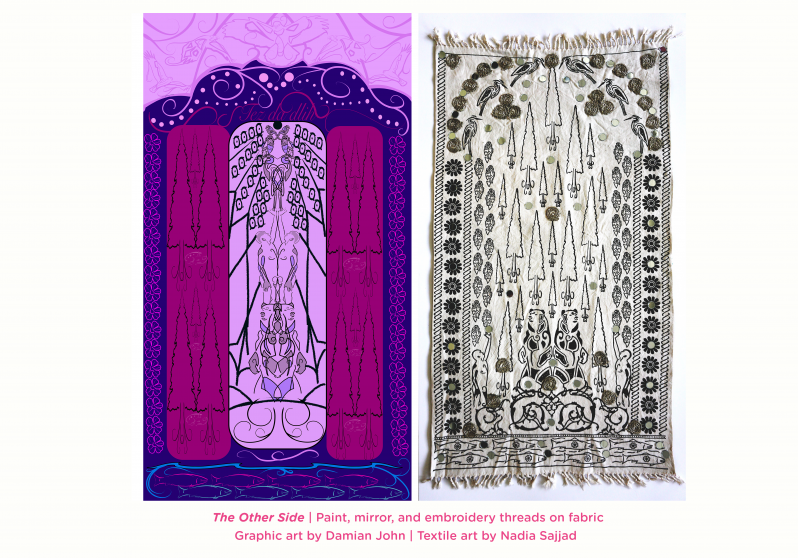 Together, these groups collaborate based on their own experiences and histories to create a series of works that celebrates the rich significance of textile arts (both in a sacred and historic sense) through the inspirational art and conceptualization of prayer rugs and weaving/textile traditions. 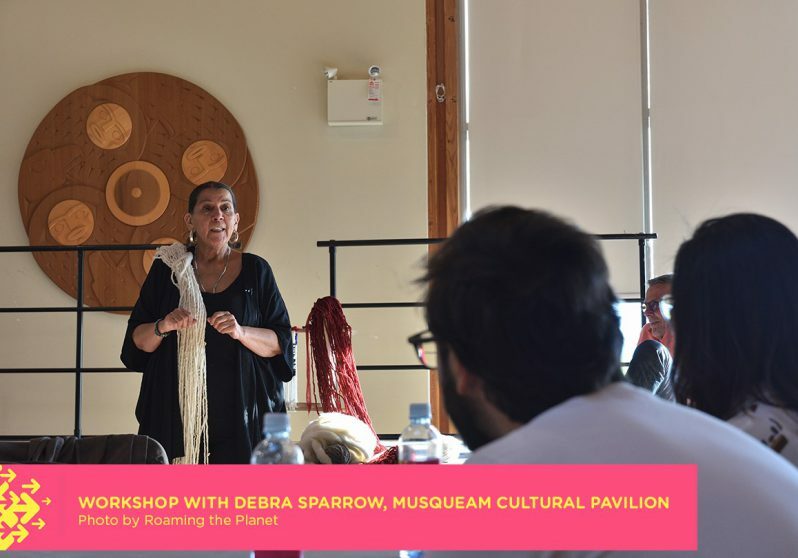 Together, these artists developed a platform and process for community dialogue through arts-based approachable discussions around uncomfortable issues of belonging, forcible displacement, diaspora, assimilation, and honouring land presently shared by several groups. 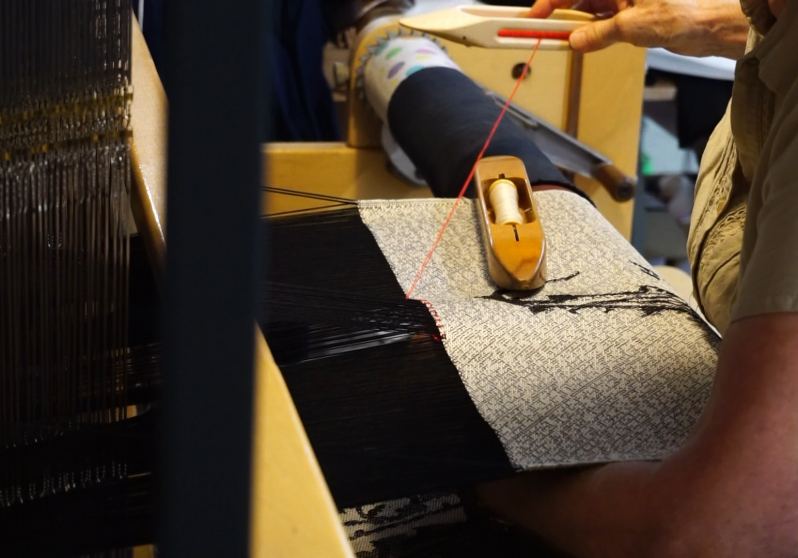 Weaving and textile arts are universal mediums that transcend time, space, and language; many textile designs, including those found in prayer rugs, have a unique ability to connect communities through the depiction of local motifs, patterns, materials, and landmarks. 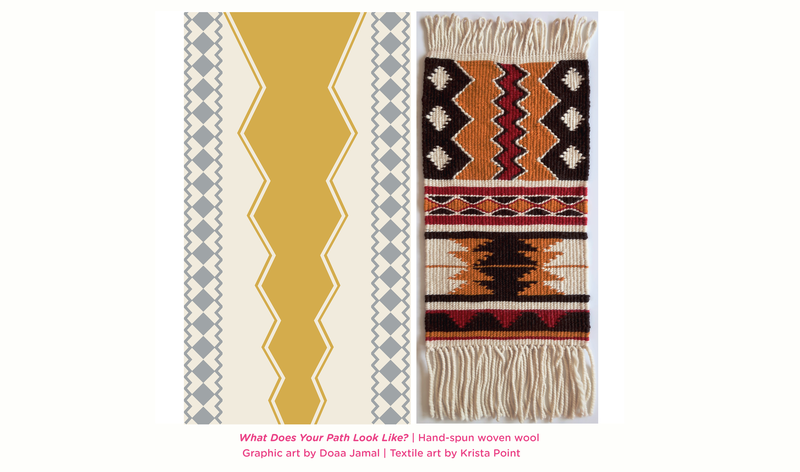 Local prayer rugs are associated with a spiritual connection to place, and in essence a connection to peoples through a shared experience of space. 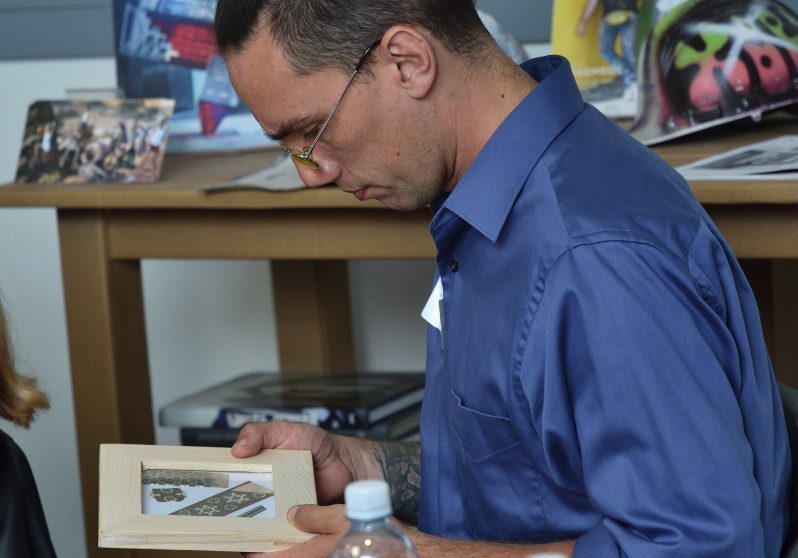 By connecting communities through place, and by integrating motifs and design elements from each cultural and artistic traditions, this project encourages artists to dig deeper in order to explore their own sense of cultural identity, while representing part of a larger, local narrative that both honors ancestral legacies and celebrates inter-cultural relations. 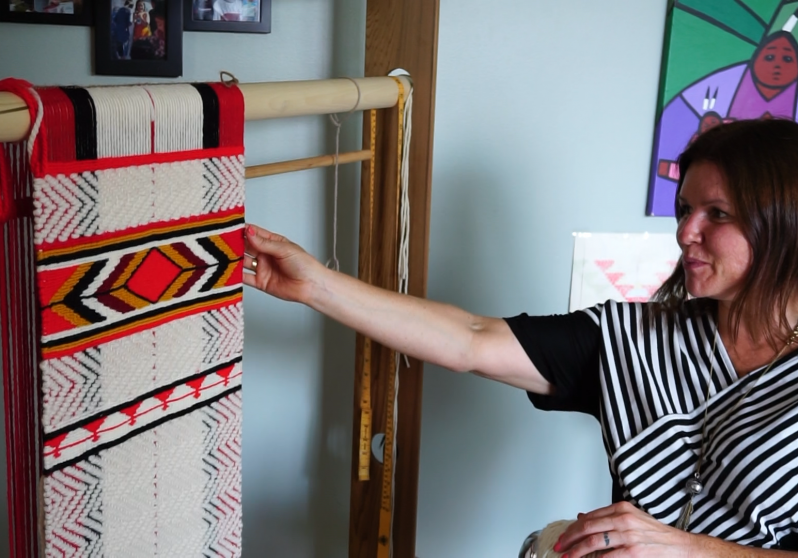 This project is further inspired by a successful initiative in Edmonton, Alberta to develop a Canadian Prayer Rug. 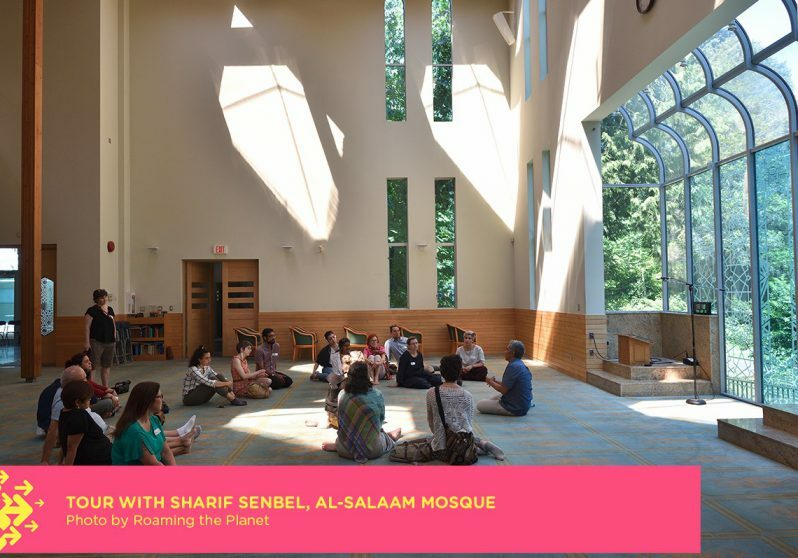 This initiative was developed in 2016 by a nonprofit Muslim youth group called Green Room as a means of highlighting the city’s rich landscape and unique history of their Muslim community. This project was developed with extensive research and community input by both Muslim groups as well as Indigenous groups who had inhabited the land for several generations. 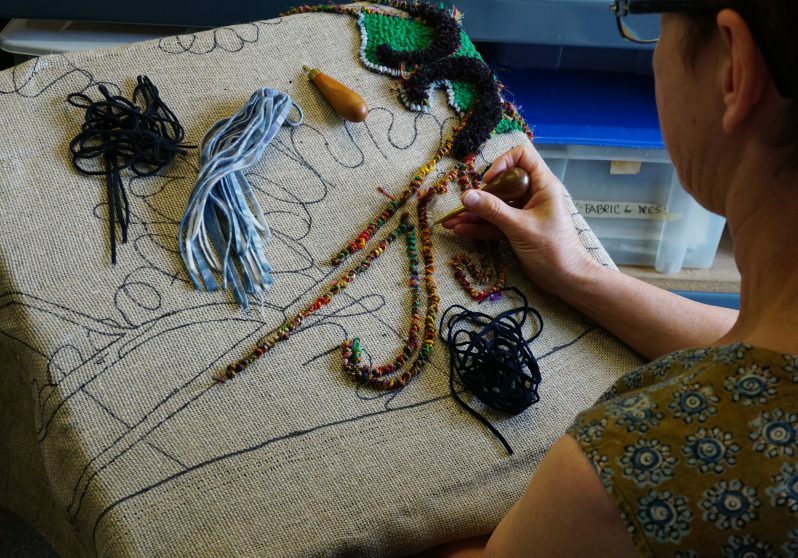 Similarly, the Vancouver project engages groups from diverse cultural backgrounds to work with Muslim artists and First Nations groups to reconcile lost heritage, share, learn and celebrate cultural knowledge, symbolism and self-identification through textile traditions. 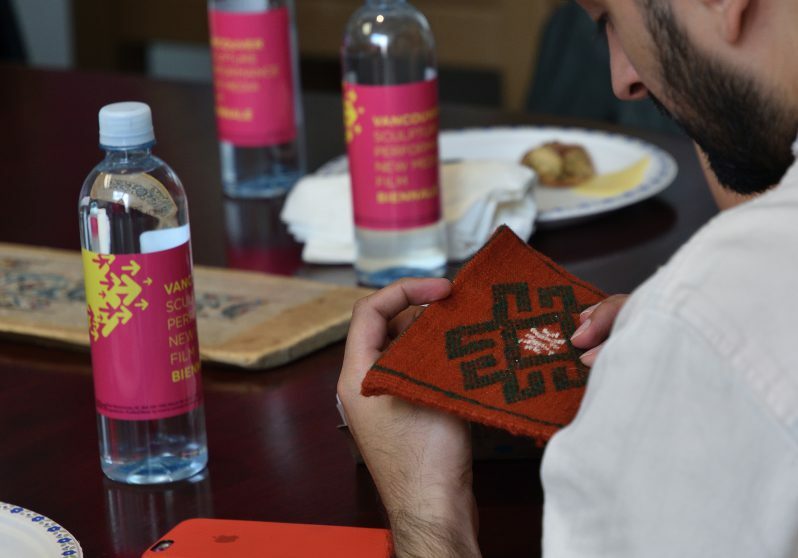 As artists expand on the concept of Canadian Prayer Rugs, this also becomes an exploration of the multiple narratives of Vancouver, developed through the storytelling of diverse multicultural perspectives. Detailed artist bios can be found here.